Design a unique Samsung Galaxy S8 case. Use your own photo as the design for your new custom phone case. The slim case is the perfect way to keep the shape of your S8 the same. Color black is out of stock and will be shipped on April 25, 2019. Protect your phone from damage! Do you get a mini heart attack when you drop your expensive phone on the floor? This feeling is very familiar to us. With a slim case for your phone this worry can be solved. 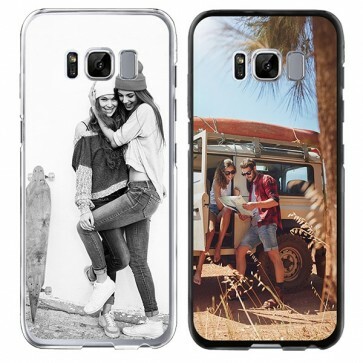 At GoCustomized you can create your own Samsung Galaxy S8 case to protect your phone in style. The slim case protects the S8 on the sides and rear, while all the buttons remain easy to operate. Creating a personal S8 Samsung Galaxy case is very simple! I want to make my own Samsung Galaxy S8 case! Would you like to make a Samsung Galaxy S8 case, but you do not know how? Then read on! 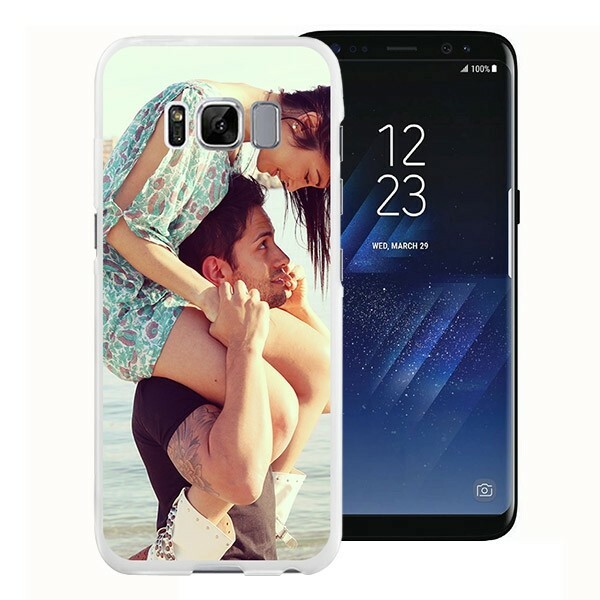 We give you a few steps that you can follow so that you can design your Samsung Galaxy S8 cover photo. Start with the Samsung Galaxy S8 case designs by pressing the green 'start now' button above, you will then go to the customizer. 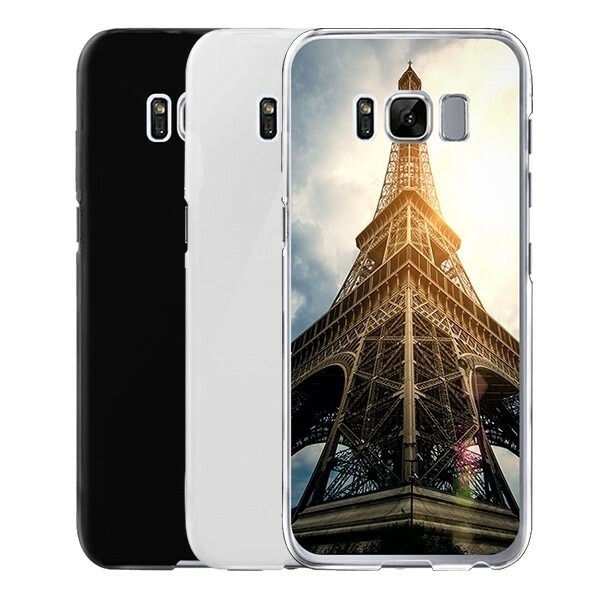 The customizer choose the first base color for your case; black, white or transparent? Then you can upload the image or cute design, directly from the hard drive of your computer. Got the picture only on Instagram or Facebook? No problem! You can also upload photos or designs from these sites. When you're finished uploading, you can (if you wish) to add text to the design. Cute texts to add include a special date or an inspirational quote. Are you ready with the Samsung Galaxy case designs S8? Click on 'Add to Cart'. How do I order my case? All set to make the Samsung Galaxy S8 case? Super! Then you can click on 'proceed to checkout'. Enter your address on the following page, choose how you want to ship your case and select the payment method. Did you receive a discount code as a gift or through our newsletter? This can also be filled in this screen. Do not forget to press 'place order' if you've entered and selected everything. Once we receive the payment, we immediately get started. Have you ordered before 16:00? Then your case will be shipped the same day. If you have chosen a shipping with track and trace, you will receive a link in your email so that you can track the package. If after reading this you still have questions, send an email to support@gocustomized.co.uk, we're glad to help!